Getting you reconnected and back to business in no time. Our technology relocation and support services are embraced by the most technologically sophisticated businesses in the world. As a division of Corovan, Corotech provides different levels of tech services based on your IT team’s needs, giving them more time to focus on the most critical tasks during a move. With the help of Corotech, you will eliminate downtime during technology changes and relocation projects. The right move plan makes a big difference in the success of your business moving cost and timeline. We’ll work with you and your IT team to customize and integrate an technology relocation plan to the overall move schedule. This will ensure a more seamless process for your end users, getting them back to work with less downtime and connectivity issues. 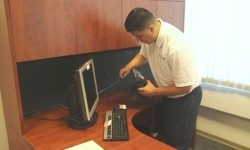 Whether you are moving a small office or a large data center, you’ll have great peace of mind knowing our team is here to manage the entire technology hardware relocation process, making sure we use the right moving equipment, packing materials, as well as assigning the right manpower and skill sets required for the job. The day of your move shouldn’t have to be stressful with last minute surprises, glitches, and chaos. Our project manager will be there to monitor the entire process, making sure all equipment are disconnected, protected, packed, moved, and reconnected properly in a timely manner. As your team settles into the new space, there could be additional changes, reconfiguration, temporary or ongoing IT support required. We’re here to help make sure you and your team are taken care of, and that your business is up and running with as minimal disruption as possible. Don’t get tangled up on the day of your move. Every component must be labeled by the end user prior to the move. If it’s not labeled, it won’t be moved. 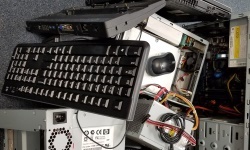 However, to prevent improper handling and unnecessary damage, end users should not pack their own computer equipment. 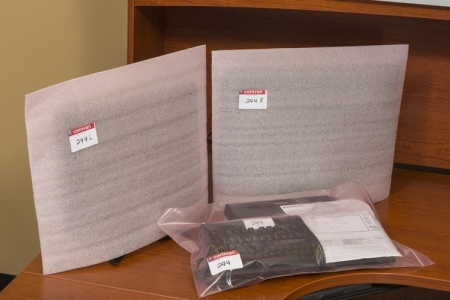 Our technicians will pack them using proper protection such as monitor covers and anti-static bags. 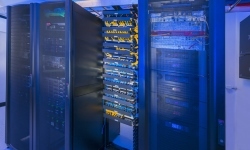 Planning and executing a data center relocation is a challenge — these are complicated moves. Our qualified technicians are here to help you every step of the way, from planning to implementation and post-move if you need extra assistance. We provide upfront planning to help you get organized and professionally supervise every aspect of your technology change project. 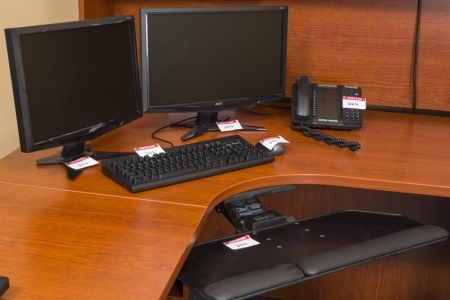 Keeping track of computers, printers, and related equipment often takes a backseat to other business, but itemizing and accounting for your technology assets improves security. Corovan cares about sustainability. Hard drives and other e-waste materials are decommissioned and recycled and repurposed upon request.